Growing prospects, much like the weather, are looking a bit dim as October takes hold. If, like me, you planted some autumn greens in August you might be enjoying an early harvest now. Or pulling up some late-sown radishes or beets. But as far as new planting is concerned, choices are rather limited. Potato barrels enable regular harvesting. 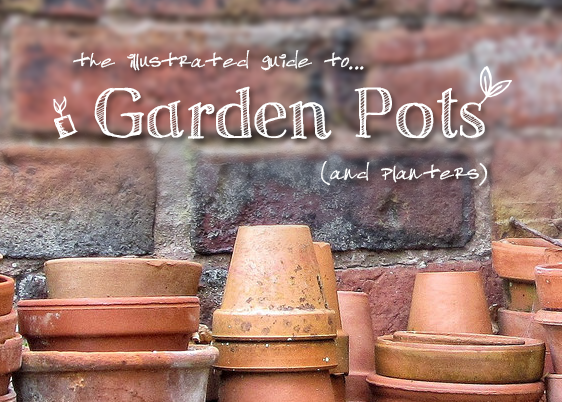 So, with relatively little to do sowing-wise, it’s onto the (somewhat) evergreen topic of pots. I haven’t written about containers before – probably because, at first glance, they seem fairly self-explanatory. A pots’s a pot, right? If you’re buying online, which can be particularly convenient for those in cities, then you have a few options. 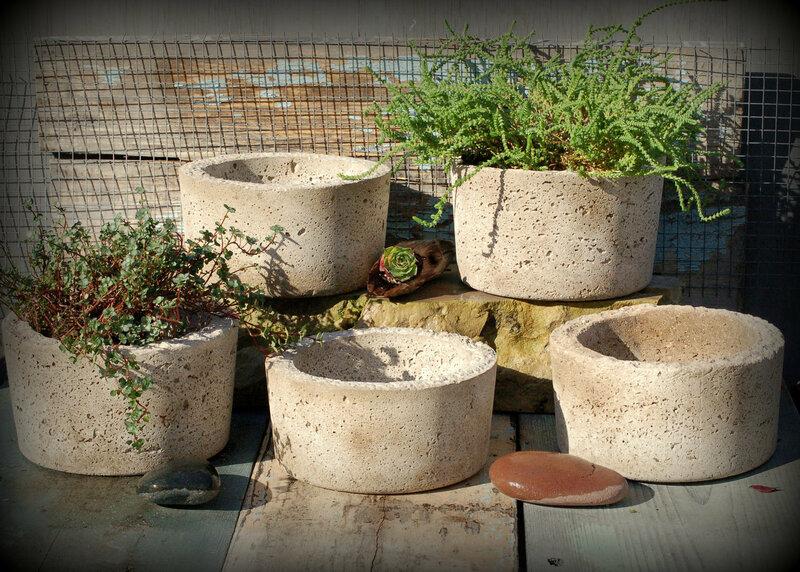 Really quirky pots, like reclaimed wine barrels, are available from places like Etsy and Amazon. If you’ve got a little bit of extra money, you could easily spend hours on Etsy, trying to imagine which vintage containers will look best together. All the images included here are of actual pots available to buy so if you like the look of them just click on the picture. 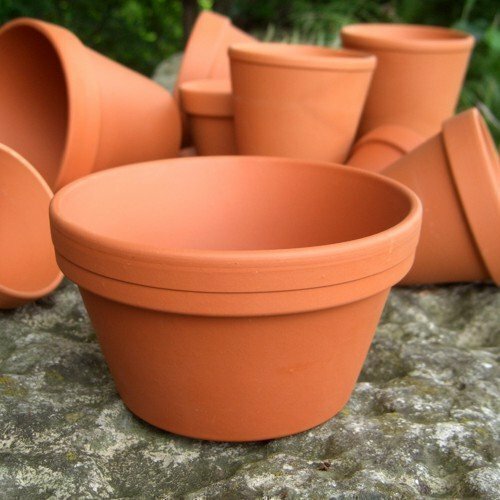 Remember when you buy terracotta to make sure that it’s frost-proof. Those containers for larger plants also need a heavy base. That said, if you see a design that you like that isn’t frost-proof don’t despair. 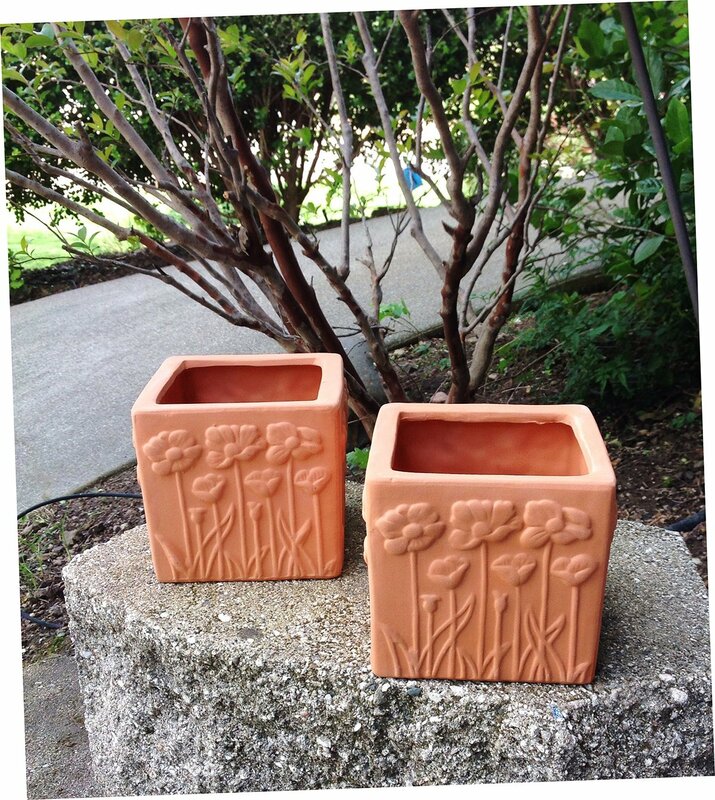 Even with freezing temperatures, terracotta takes a while to crack. Keep in mind that with any container, square tends to be better – the design is more space efficient (they can nestle next to each other without any gaps in between) and it will hold a greater volume of mix. You can see that those above look great. 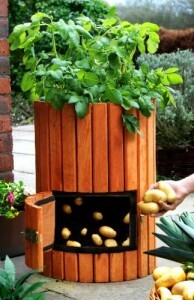 Again, another particularly handy option for urban growers. They’re great for deep-rooting plants and are ideal for small spaces because of their narrowness. Why they’re called long toms, I’ve got no idea…long tomato pots perhaps? Great for crocuses (or croci). Whilst terracotta looks good new, it looks even better when its weathered and covered with moss. Whilst it takes time to acquire this kind of natural raiment, you can speed up the process by blending some moss from the garden with a few tablespoons of yoghurt. 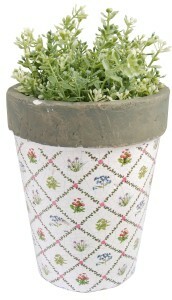 Paint this onto the sides of your pots and it will encourage new growth. If you’re short on moss, just yoghurt will do. 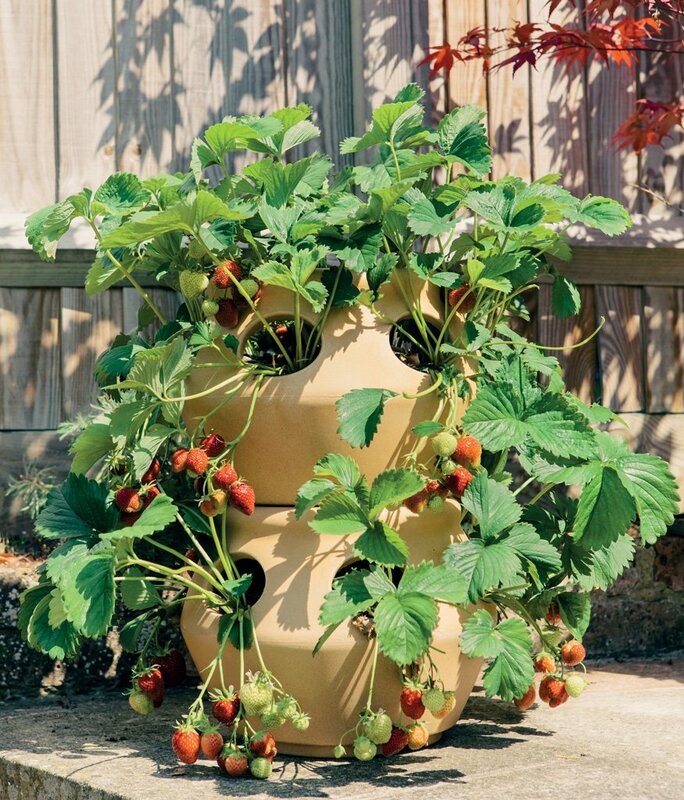 Smaller plants like strawberries and herbs will sit well in a pot like this, which is a good choice for those keen on saving space. 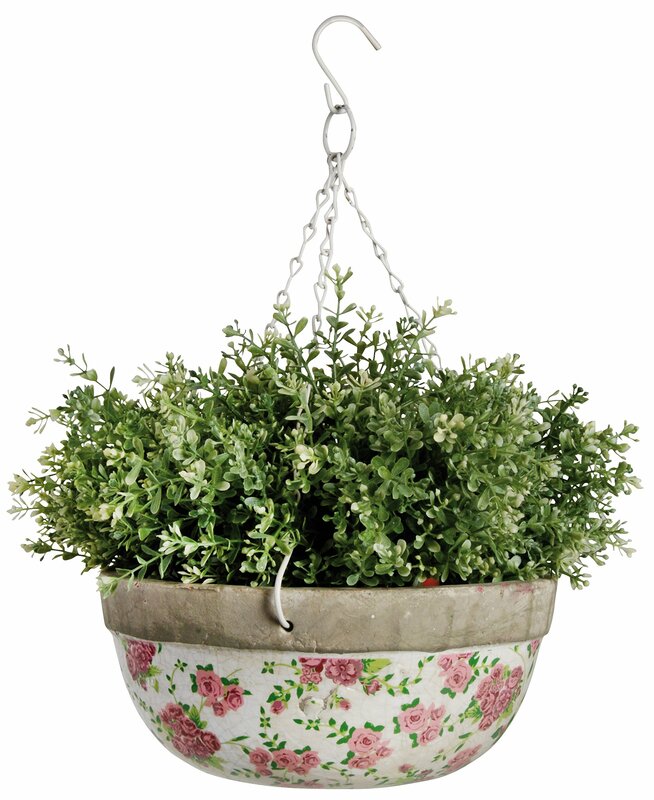 An absolute must for small-space and urban container gardens. 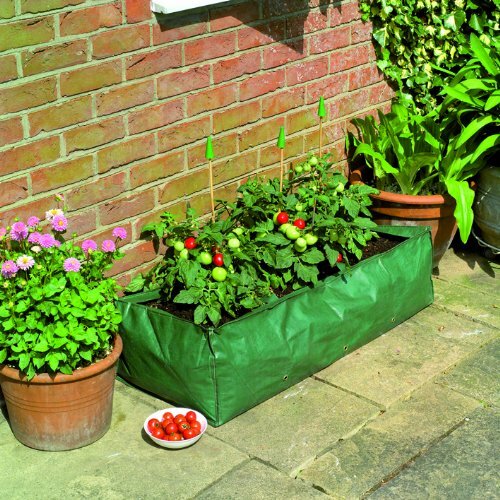 They’re particularly useful for small plants like, as mentioned above, lettuces and strawberries. They save on watering time too. I’d be remiss not to mention baskets, especially on an urban gardening site. You can get some striking designs (like the one above) if you have a look around. Trailing tomatoes are an obvious choice. 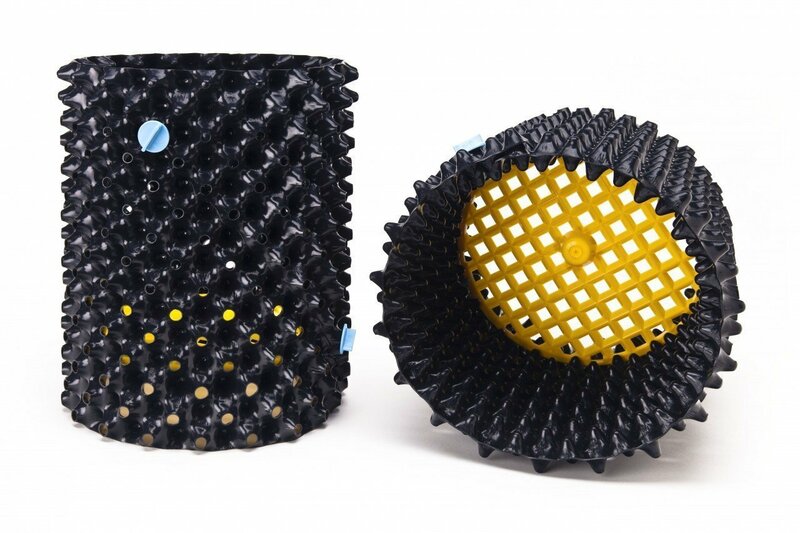 Air pots, a relatively recent innovation, are also worth having a think about. Their unique design is meant to aid root growth in two ways: first, by improving drainage through increased horizontal water-flow and, secondly, by “pruning” the plant by dehydrating the root tips at the openings, which encourages “bushier” growth. I’m going to be travelling a fair amount over the next few years, something that obviously doesn’t mesh perfectly with keeping a garden. My plan is to improvise as I go, buying a few plastic grow bags and growing things whenever I plan to spend a few months in one place. It’s cheap and the bags are easy to get rid of. 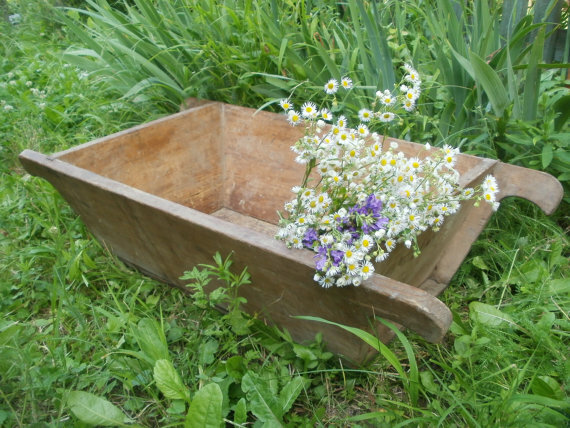 If you’re in the mood for a DIY project then making a concrete trough (often called an “alpine trough” because they’re perfect for growing alpines) will certainly offer an enjoyable hour or so. If not, you can buy one. Though they are often a little expensive (delivery is the killer) , it’s more than worth if for the weathered effect they’ll eventually acquire. 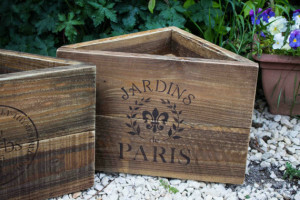 Wooden planters add a wonderfully rustic feel to your growing space. Remember to treat them with a varnish (if they haven’t already) and line with plastic. Old wine and beer barrels are good if you can get your hands on them. 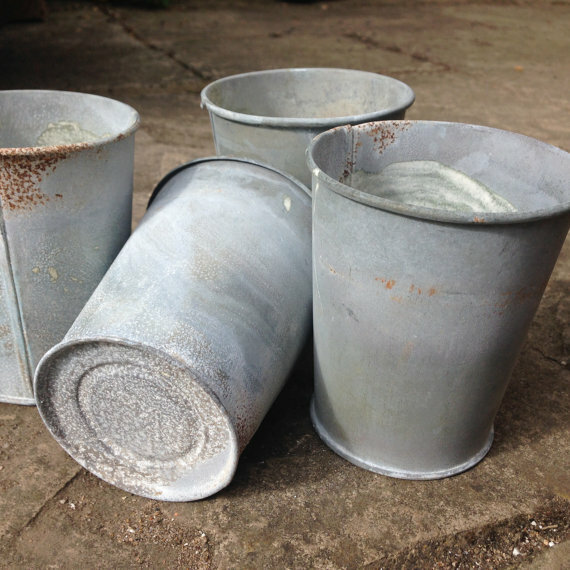 These types of pots, though they’re usually more expensive than their counterparts, are desirable for the weathered finish (also called a patina) they start to acquire after a few months in the garden, which is usually green in colour. 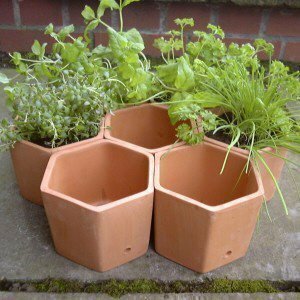 There are potential issues with toxicity (copper and zinc leeching into the soil) so your best bet will be to line the inside of the pot or place a second planter inside it. Hi Dan, great post. I’d add “The Garden Tower” to the list too. It’s a stackable system that has a central vermicompost reservoir…it’s a bit expensive but quite an interesting concept. Hey Mike, cheers for the positive comments! The Garden Tower’s as a brilliant idea…I actually mentioned it in my small space guide and I’ll probably update this post at some point and include it 🙂 There’s so many unique and wonderful products out there that it’s difficult to be comprehensive…I’ve just remembered the Patiogro multi-level system too. Loved all of your suggestions except the zinc and lead lined pots. Toxic potential for soil, root, leaf,fruit and eventually land fill as the chemical components of the containers break down. Hi there Pam, thanks for the comment and pointing this out. I’m going to go ahead and amend the title and add some more information. I’m not sure why I included lead. I think it’s actually illegal to make pots with it now. In terms of zinc, my understanding is that there’s no evidence that it’s harmful to either soil life or humans. Interesting answer here. Thanks again! Please take a look at our hanging baskets. 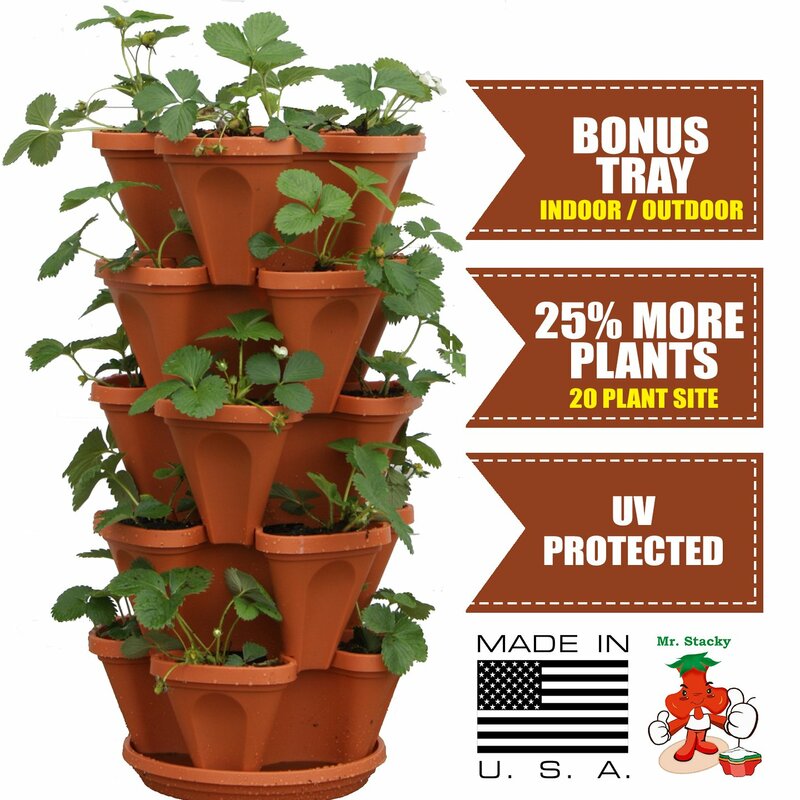 They are perfect for urban gardening and ideal for growing tomatoes as the have a built-in trellis /plant cage. We show our large sized basket with a full grown Tumbling Tom plant. Our basket also comes with custom stainless steel hardware that allows the basket to pivot for even sun exposure. Thanks for the link Diane, your baskets look great.